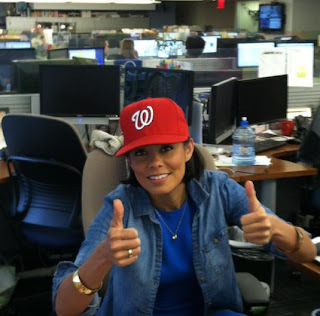 My girl, Alex Wagner, showing her support for the Washington Nationals. Well, I can't support her choice of baseball teams (I'm a Yankees man myself), but I can support her in pretty much every other regard. The woman is flawless.